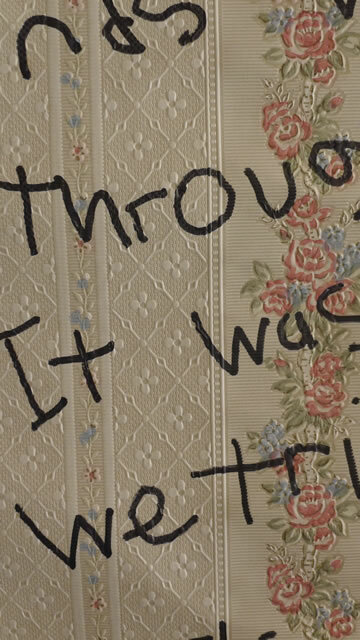 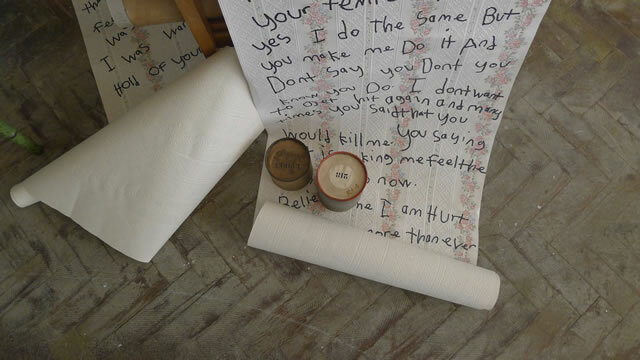 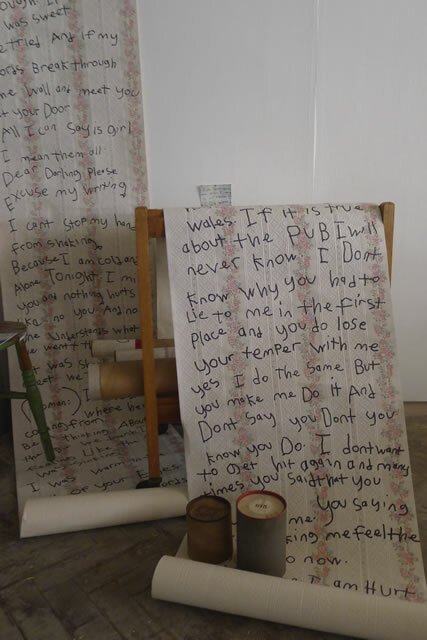 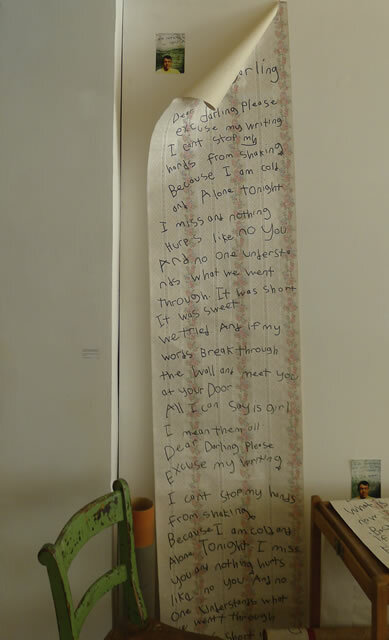 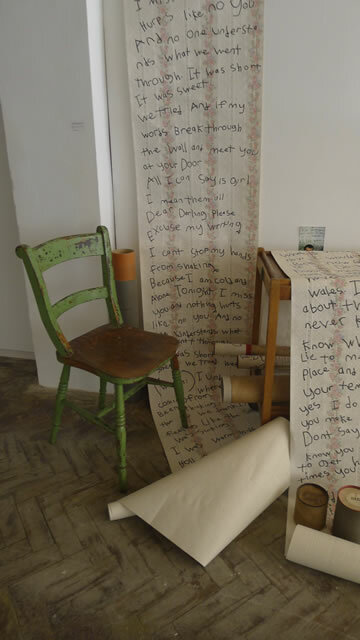 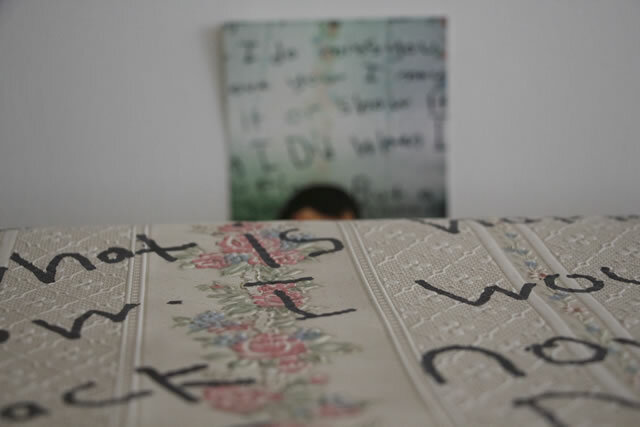 A sculptural work, which includes two rolls of wallpaper with hand written text on them, two tables, a chair and four cardboard tubes designed to house the texts. 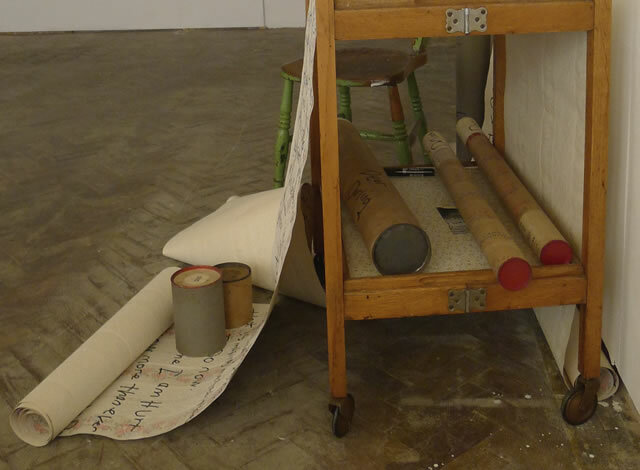 All of the elements are second-hand or found objects. 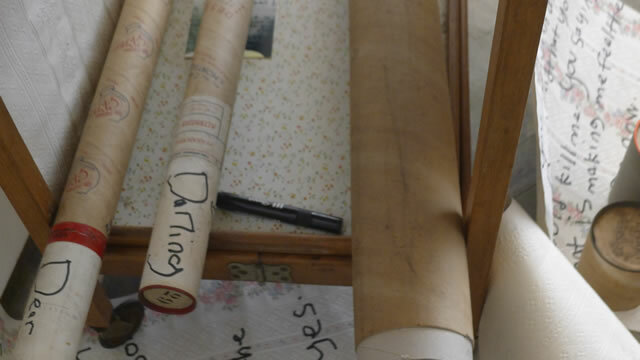 They have an intrinsic value or potency to them, which in no small way is down to the happenstancial nature of their discovery. 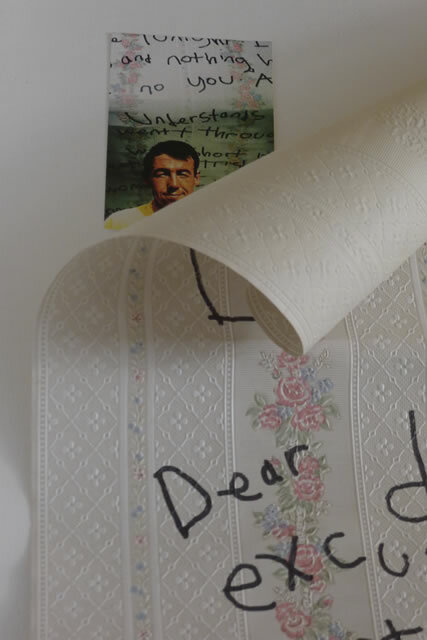 The hand written texts are the only contrived elements and they are a direct reaction to an invitation to respond to a found love-letter. 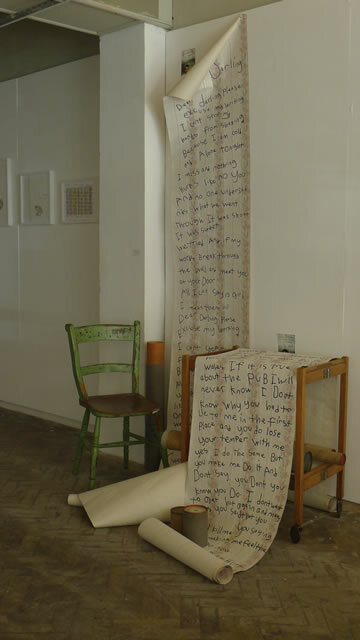 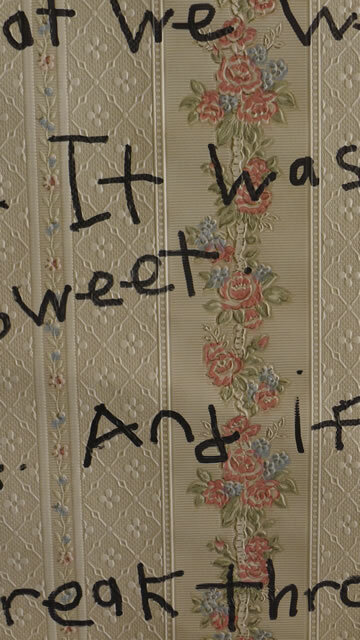 The work might be seen as a conversational piece in which an original text begets a response; a beck and thus a call. 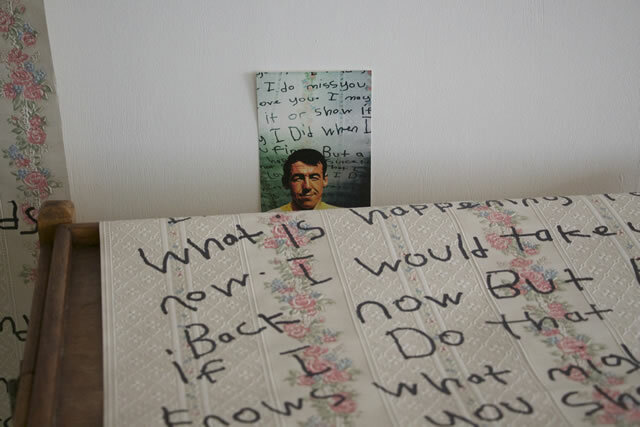 A limited edition of eight x two postcards signed by the artists.